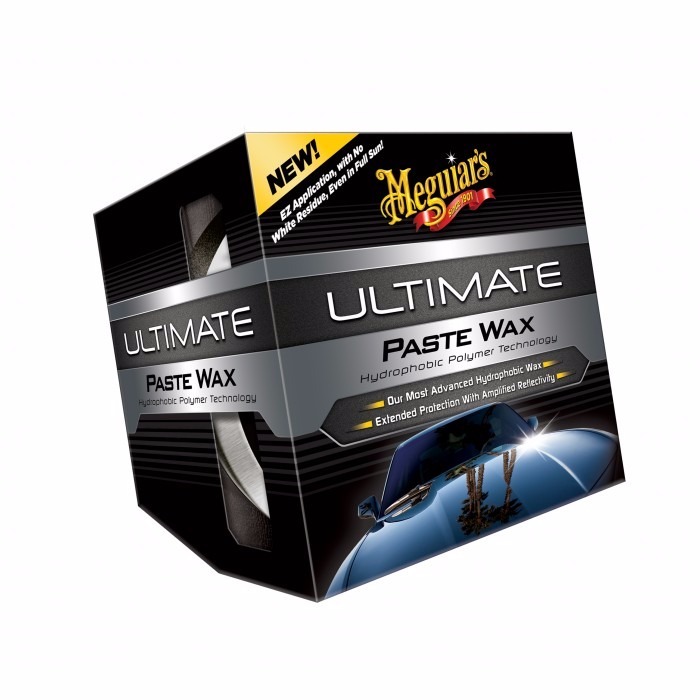 Ultimate wax is the newest Meguiar's wax, developed with the most advanced synthetic wax technology. Ensure maximum protection, durability, color depth and gloss reflection. For maximum protection, durability, color depth and gloss reflection. Our most advanced 100% synthetic wax using the new Meguiar's Thin Film technology, which makes product application and removal easier; Ultimate Wax may be applied under sunlight on a hot surface and its new synthetic polymers technology, in addition to create a protective barrier, incredibly enhances color depth and increases surface reflectivity. The Ultimate waxes come with one applicator and an exclusive microfiber rag for product removal. Included items: one 311g Ultimate Paste Wax, 1 applicator and 1 microfiber rag.